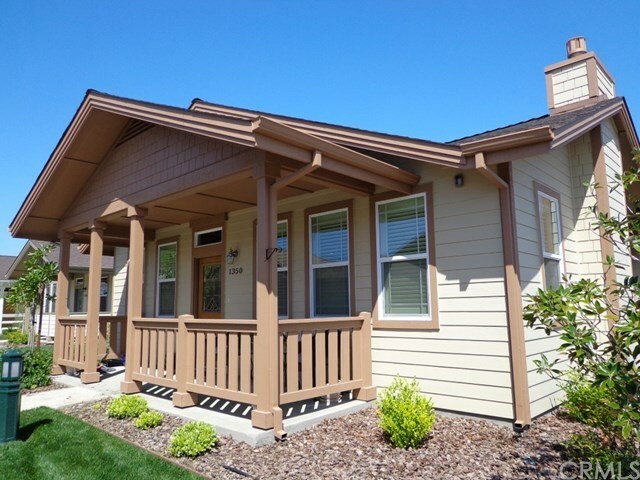 Beautiful home in Westhaven Village, an active adult community (55+), built in 2015. This one owner home was built with upgrades, including a fenced rear patio, exterior lighting with motion detectors, double doors to the third bedroom to facilitate use as a den/study (or bedroom), water lines to accomodate a water softener system and upgrades to carpet and kitchen appliances. The living space is a very nice open floor plan, with kitchen, dining area and living room. A fireplace on the east wall of the living room provides great room ambiance. Interior shutters on the windows in the living room and dining area add a touch of coziness to the space. Attached single car garage is completely finished, with remote door opener, and is located at the rear of the home. Very nice corner lot location!!!! Conveniently located next to the Westhaven Senior Living complex, this development offers many opportunities to access housekeeping services, meal preparation and community activities.